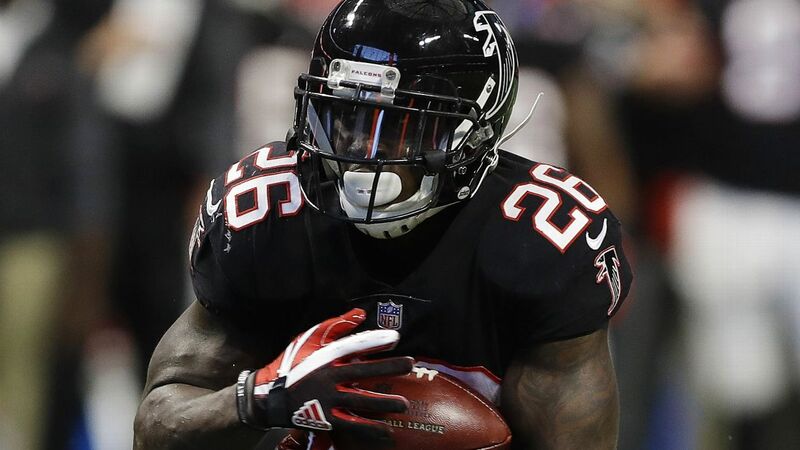 The San Francisco 49ers are signing running back Tevin Coleman to a two-year deal worth up to $10 million, a source told ESPN's Adam Schefter. His strength is using his speed to get outside and up the field. Coleman doesn't possess the same type of vision and elusive ability as Freeman, but the pair worked well in unison. There are questions about whether Coleman, 25, can be a workhorse back as a regular starter, but he has expressed no doubts about his ability to carry a full load. Adding Coleman wasn't a huge surprise given his ties to Niners coach Kyle Shanahan. Shanahan coached Coleman in Atlanta, and Coleman has long been one of Shanahan's favorites. With Coleman, Jerick McKinnon and Matt Breida, the Niners now have options in the backfield, especially as McKinnon recovers from an ACL injury that cost him the entire 2018 season. While McKinnon has no guaranteed money remaining on his contract -- his base salary of $3.75 million becomes guaranteed on April 1 -- the Niners repeatedly have emphasized their desire to add more competition all over the roster this offseason. Coleman also provides additional insurance in case McKinnon's recovery hits any snags. In two seasons (2015-2016) with Shanahan as his offensive coordinator in Atlanta, Coleman averaged 4.45 yards per carry and 13.18 yards per reception and scored 12 touchdowns while sharing touches with Freeman. A former third-round pick out of Indiana, Coleman has 29 touchdowns (18 rushing, 11 receiving) in 56 career games. He scored 11 touchdowns during Atlanta's run to the Super Bowl in 2016, including a career-best 55-yard touchdown run in a 33-16 win over the Carolina Panthers. For his career, Coleman has 3,350 yards from scrimmage on 620 touches, averaging 4.43 yards per rush and 10.98 yards per reception. Coleman lost three fumbles during his rookie season in 2015, but he hasn't lost a fumble since. The 49ers also agreed to terms to re-sign defensive back Jimmie Ward on a one-year deal worth up to $5 million, league sources told ESPN's Nick Wagoner, confirming an earlier report. Ward played in nine games for the 49ers in 2018, collecting 23 tackles before a broken forearm ended his season prematurely. It was the second consecutive season in which Ward, 27, suffered a broken forearm that landed him on injured reserve and the fourth time in five years in which he was unable to finish a season. A variety of injuries and constant position shuffling made it difficult for Ward, a first-round pick (30th overall) in 2014, to ever solidify his role with the team. In five seasons with the Niners, Ward has played in 51 games while appearing at outside cornerback, nickel corner and free safety. Ward has 177 tackles, two sacks, a fumble recovery and two interceptions in his time with the 49ers. Vaughn McClure contributed to this report. 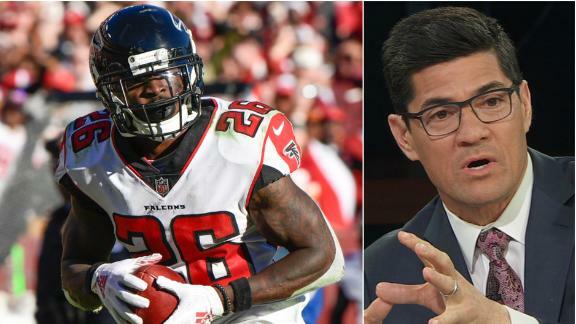 Chris Mortensen, Louis Riddick and Tedy Bruschi see Tevin Coleman as a great value signing for San Francisco.